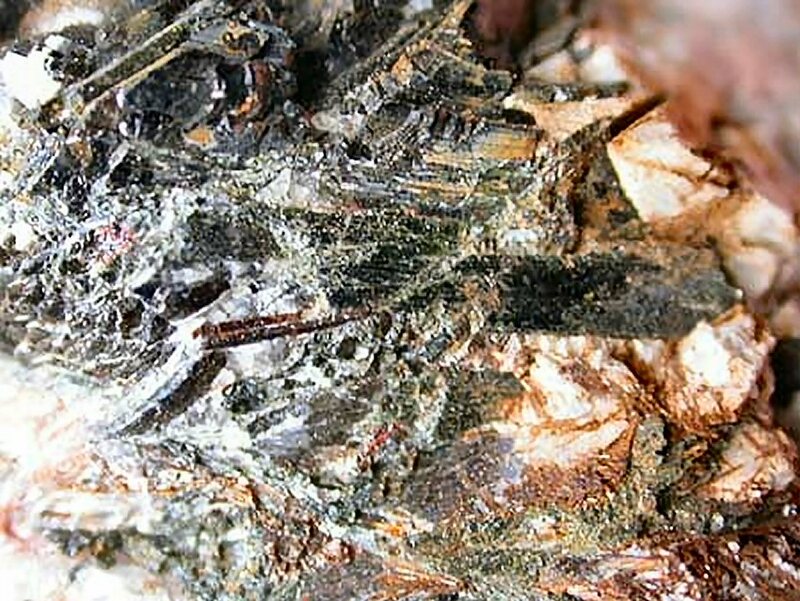 Comments: Gray to black prismatic spodiophyllite crystals in matrix. Location: Mt. Kukisvumtchorr, Chibiny, Kola, Russia. Scale: Specimen Size 4x4 cm.